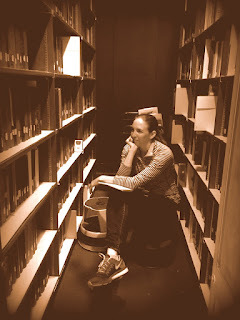 Welcome to the Tiny Archives Project Blog on Archivisteria.com! Hi Folks, and Welcome to the Tiny Archives Project Blog on Archivisteria.com! 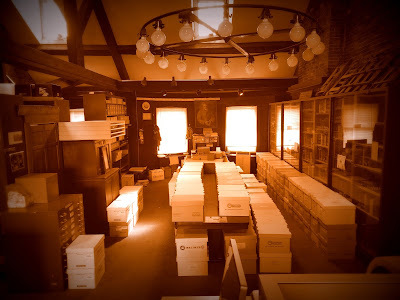 After years of working in tiny Archives and talking with colleagues about our struggle to preserve and share historical materials with the world I am launching this blog on January 1st, 2018 to discuss topics in operating and maintaining small archives. If you happen to be a 'Lone Arranger' (an Archivist who works alone, in a very small shop, or as the only person doing that job in your institution), this site is for you! I will be delving into the topics of processing collections, preservation, funding sources, data collection and even broad topics like determining your archive's mission and setting down policies. My posts are meant to be quick overviews to get you started on specific kinds of projects. Some are motivational and the intent is to help you tackle daunting tasks, even when you have no staff, few resources, limited time and almost zero dollars! I love figuring out how to do projects on a shoestring! I hope that each monthly post will be a forum for the topic at hand. Please feel free to comment on posts with questions, advice and stories from your own little corner of the Archives field. Hit the "Subscribe" button up top and you can get a blast of Archive-y goodness on the first of every month. And tell me what you'd like to read about! I am always glad to hear from others working in Tiny Archives! I hope you enjoy this weird, little side project of mine!